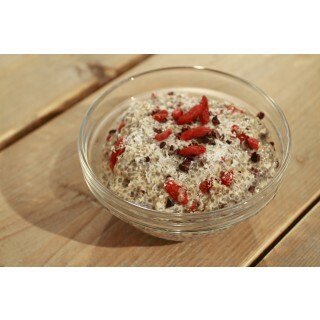 Watch the video below for how to make this nutritious chia yoghurt, great on the go or ideal for breakfast to start your day! Organic chia seeds are rich in vitamins (especially vitamin A), minerals (including calcium, potassium, magnesium, zinc, phosphorus, manganese and sodium), proteins, enzymes, carbohydrates, amino acids, fibre and antioxidants, and discharge a slow release of energy that both reduces your body’s need for sugar and actively prevents snacking. Start with 1 cup of almond milk into a bowl. Add the chia seeds, goji berries, coconut, cacao nibs, and honey and gently stir it together and leave for 15 to 20 minutes. 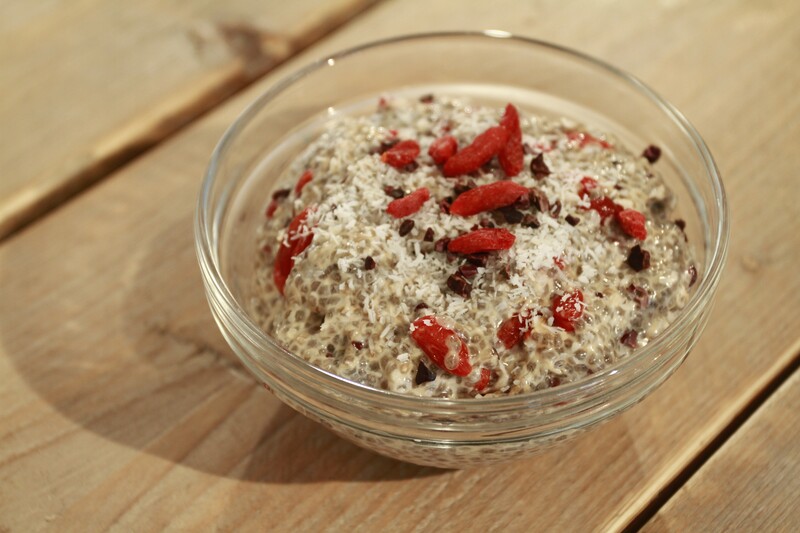 After you have let it sit overnight you will find it will have become a thick consistency and then it can be enjoyed as a wonderful breakfast or a delicious healthy treat on the go! Feel free to experiment also! Add some of your own favourite dried berries to the mix and top with fresh fruit or nuts for a burst of flavour!